The exciting new exploration frontier in the United States and around the world is coal bed methane and shale gas that hold very large quantities of natural gas. The natural gas is held in very low permeability coal beds and shale rock. 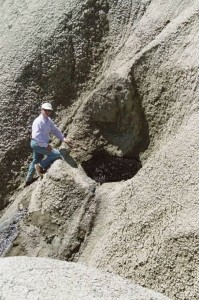 Because of the low permeability of the host rock, commercial gas production requires complex and challenging horizontal drilling and hydro-fracturing of the rock. Dr. Bredehoeft and Michael King have considerable hands on experience with the exploration and development of Shale Gas & Coal Bed Methane deposits throughout the world. Dr. Bredehoeft currently owns an operating coal-bed methane lease in Wyoming and works with the current field operator on production and wastewater disposal issues. As former Western Regional Water Resource Manager for the U.S. Geological Survey, Dr. Bredehoeft was responsible for resource development research for coal-bed methane and shale gas. Mr. King was a project geological engineer for Natural Gas Pipeline Company of America’s (NGPL) Coal Gasification Plant in North Dakota. He was responsible for securing a groundwater supply for the coal gasification plant, development of a deep wastewater disposal system, and for a dewatering program for the lignite mining operation. Mr. King also helped evaluate options for degasification of Occidental Petroleum’s coal mines in West Virginia. The study included design of horizontal degasification wells to protect mine workers. 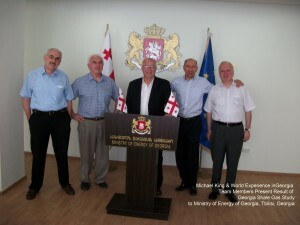 Hydrodynamics evaluated the potential of Shale Gas deposits in the Republic of Georgia. The study consisted of exploration geological studies and resource drilling and production options that included horizontal drilling and hydro-fracturing technology.